Hi ya everyone! There's a new theme at SP & Company this week. Giving Thanks! 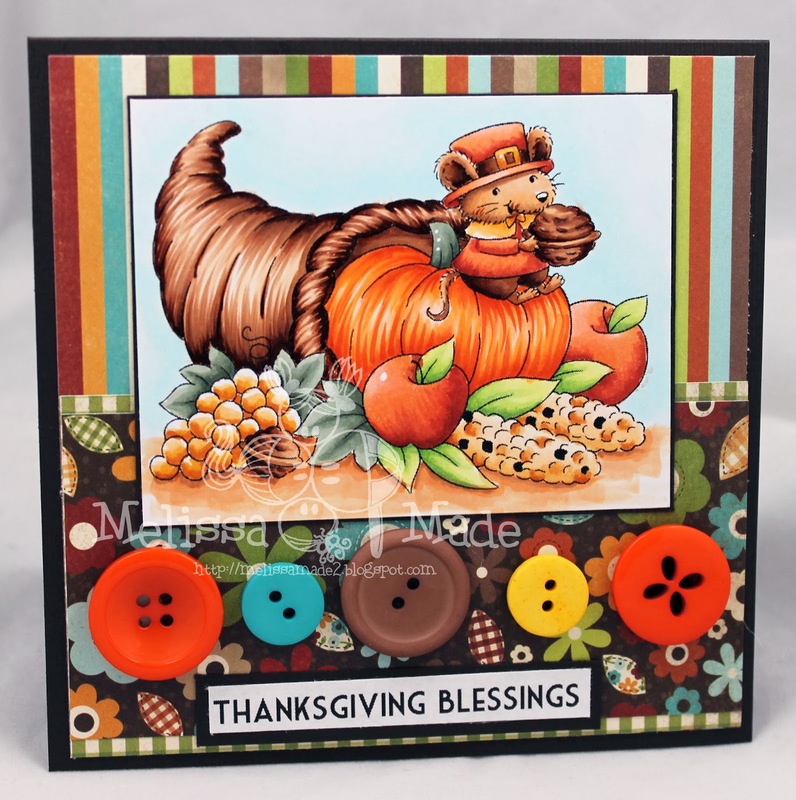 I made this creation using the adorable Mouse with Cornucopia. This little guy was so fun to color especially with all that scrumptious food. The sentiment is part of the stamp set too! The buttons are gorgeous and are also from SP & Company. The colors are clownfish, blue lagoon, walk the plank and summer sunshine. I used my Copics to color this cutie! Love this card! How cute!